Wondering how you could stay happy and content with a shake for breakfast, and one for lunch? With over 100 Body By Vi Shake recipes, you can drink a shake per day for over 90 days and never drink the same shake twice!! 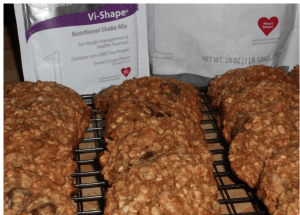 TIP: If you don’t use Visalus, you can use any Protein Powder! I just like the taste of Visalus! 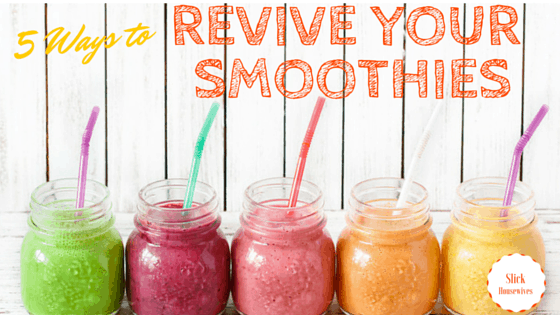 Be sure to check out 5 Ways to Revive Your Smoothies! Cherry Lemonade: 6 oz. crystal light lemonade, 2 scoops Vi-Shape shake mix, 1 cup frozen dark sweet cherries & 8 ice cubes. Blend well in blender. 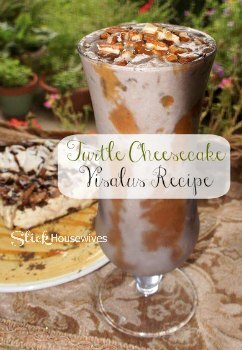 This is one of my favorite Visalus Body By Vi Shake Recipes!!! 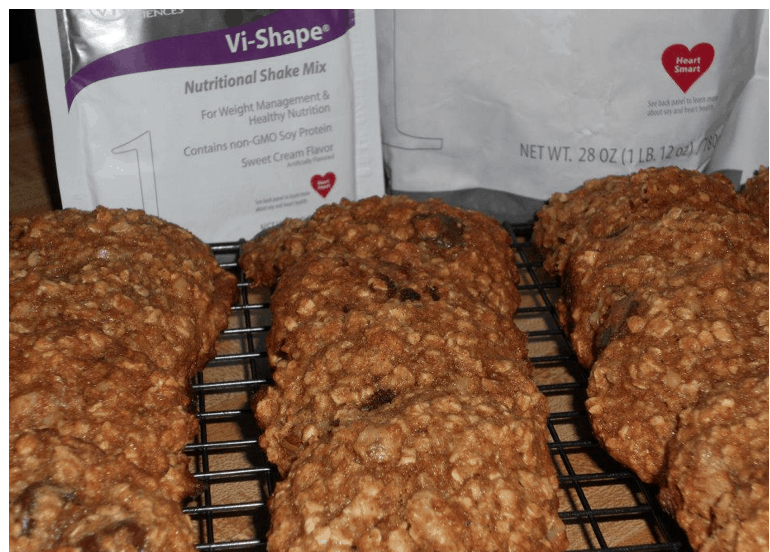 Now these are not Visalus Body By Vi Shake Recipes but they are DELICIOUS!!! Preheat oven to 350 F. Lightly spray 2 cookie sheets with Pam Cooking Spray. Set aside. In a medium bowl, combine the first seven ingredients. Set aside. Using a mixer (medium speed), cream butter and brown sugar until fluffy. Add egg and mix well. Add mashed banana and vanilla. Change mixer speed to low and stir in the flour mixture. Mix lightly and add the walnuts and chocolate chips. Drop heaping of tablespoons of the dough onto the prepared baking sheets. Bake for 10-12 minutes or until cookies are done. Yields 30 cookies. Cool on wire racks and store in an air tight container. Take note that the cookies are going to be darker since this recipe calls for wheat flour and brown sugar. 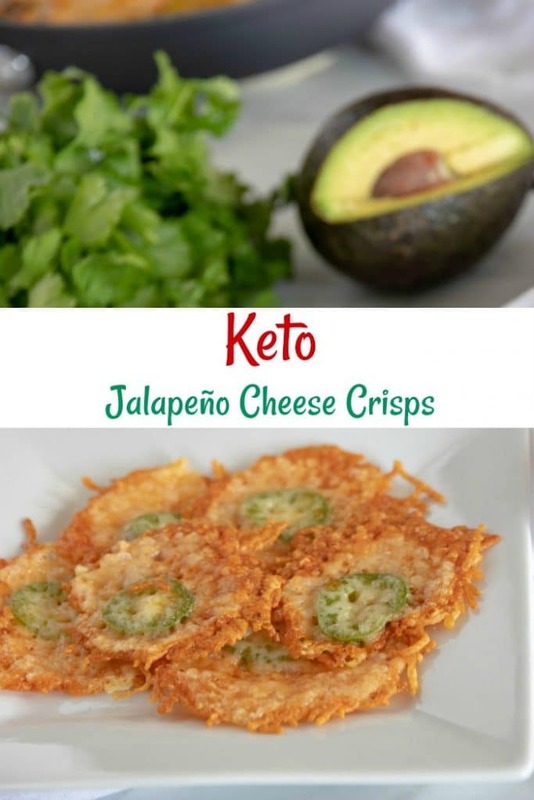 We also have some great Recipes on our site that you should check out! !